Through the creation of North America’s first dolphin sanctuary, the National Aquarium is introducing a new option for human care of dolphins. 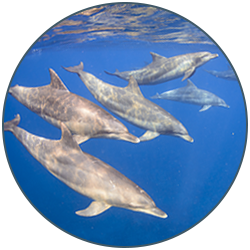 The sanctuary’s mission is to advance understanding and protection of cetaceans by offering a natural environment in which the colony of dolphins in our care will thrive. The health and welfare of the dolphins is our enduring priority. 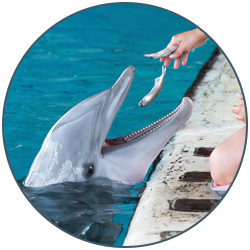 Expert staff will provide a lifetime of customized individual care, ensuring that the needs of each dolphin are understood and met in a sanctuary setting. 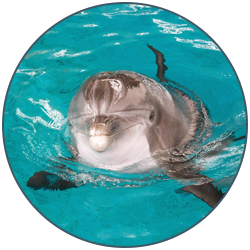 In addition to representing a place, the sanctuary is also defined by a set of principles and corresponding practices, ensuring that a “dolphin-first” approach is the guiding philosophy of the new facility. Researchers will advance studies not feasible in either open-ocean or aquarium settings, expanding our understanding of wild dolphins and those in human care. Countless studies have been done on the capacity of animals—both human and nonhuman—to show empathy for one another. Most scientists agree that empathy is an evolutionary advantage reserved for the smartest mammals, including great apes, dolphins and humans. Our current work to prepare our dolphins for a new life in their future seaside sanctuary is focused on building resiliency.